If you are currently a K.O.I. STUDENT, CLICK HERE to enter the STUDENTS ONLY AREA. If you want to learn more about being a K.O.I. Student - READ ON! Everyone at K.O.I. wants learning to be FUN! We're all Koi Geeks ourselves, and proud of it! We formed this group in order to pass along information that will help make this hobby easier and more FUN! The K.O.I. program does not require students to be affiliated with any club or organisation. The K.O.I. program is International, (thus the spelling of “Organisation” to reflect the world scope) drawing students and instructors from countries around the world. 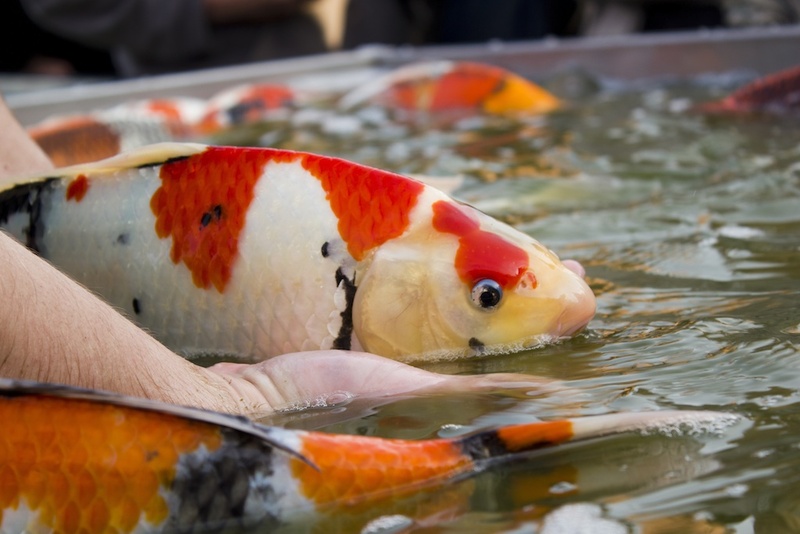 We all share the common goal of successful Koi keeping. The courses are open enrollment and may be purchased by anyone who has an interest, virtually whenever they wish, without committing to any further training. K.O.I. is not just about certifications! We believe that learning should be interesting and can be FUN! Just-for-FUN courses are offered on a variety of topics. The information in all courses is Current, Accurate and USEFUL! K.O.I. provides courses on many aspects of the hobby, for all levels of interest. Students work with instructors and mentors to improve their understanding of Koi keeping. K.O.I. courses are easily accessible to anyone with a computer. And because training is done online, it can fit into even YOUR busy schedule! Taking K.O.I. courses gives you direct access to many highly recognized experts from around the world. K.O.I. has received nonprofit status and donations are tax deductible. CLICK HERE to see a full list of courses and availability.